Talk to Erin from the Making History Quest. 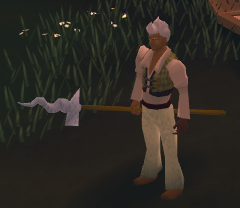 After completing the Making History Quest, you get to keep the Enchanted Key. Go and talk to Erin from the quest, ask him about the Key and he will tell you that you can find treasure with it. 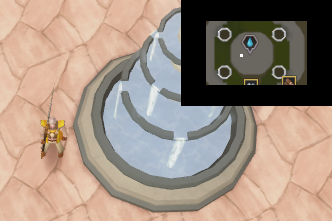 Freezing - Very far away; you're on the wrong side of RuneScape! Cold - Nearer than freezing, but it could be almost anywhere. Warm - Very near, not more than about a 1 minute walk away. Boiling - Extremely near, no more than about 20 squares away. Steaming - Dig here, you are standing on the chest! To find out which direction to go in is pretty simple if you follow one of these 2 methods. Now move in a direction 90 degrees from the direction you went in originally, so if to start with you went North or South, this time go West or East and if you went West or East, go North or South and repeat these 5 simple steps. 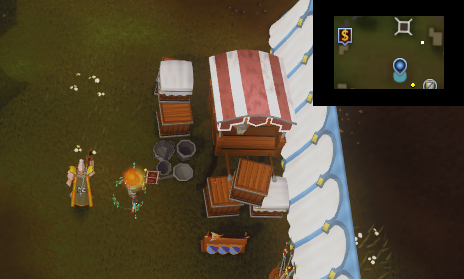 There are 11 chests to be found around Runescape. The order is random for each person, but the first location is always in the Fremennik Province. 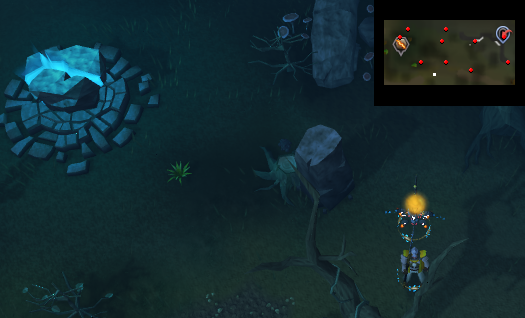 The locations in this guide may not be exactly the same as where they are for you, but should take you so the Enchanted Key is boiling and you are very close to the chest. 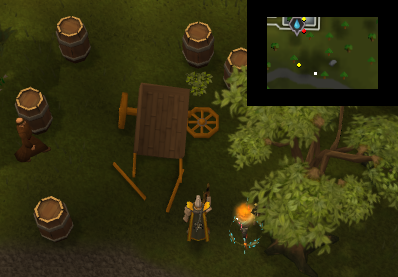 The location of the first chest for all people is in the Fremennik Province. Brief Description of how to get there: Go east along the mud path South of Rellekka (that you head along during The Fremennik Trials to get to Lalli and the Golden Apple Tree) until there is a short bit that heads South, just before that head South towards river, its near the first Oak Tree you get to. With all the rest of the chests the order is random. Brief Description of how to get there: Go to the Body Altar and head West to the 2 mounds of dirt. It is near the tree just East of the South mound. Brief Description of how to get there: Go to the 'T' junction that leads off to the Digsite. Take the road North until it starts to turn West. It is around there. 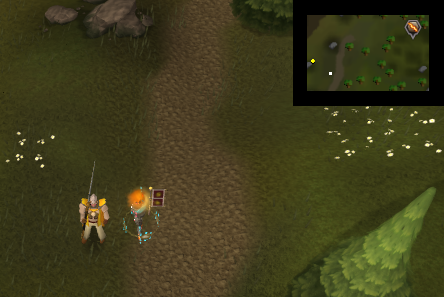 Brief Description of how to get there: Go South of Falador South wall by the chainmail shop. 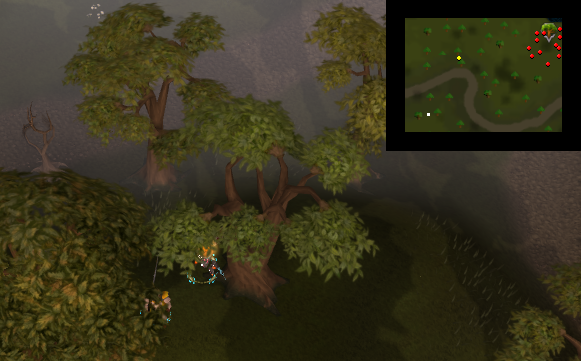 Then head South until you are just North-West of the Oak tree just West of the Air Altar. It is around there. 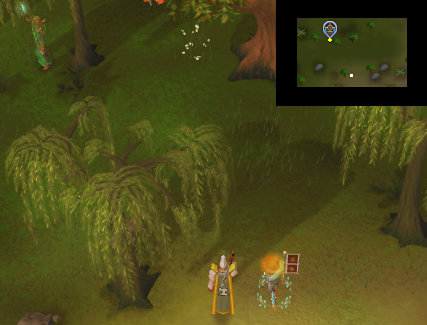 Brief Description of how to get there: Go to the entrance to Lumbridge Slayer Caves in the swamps. Head North-West so there are dead trees on your West and South and a plant on your East. It is around here. 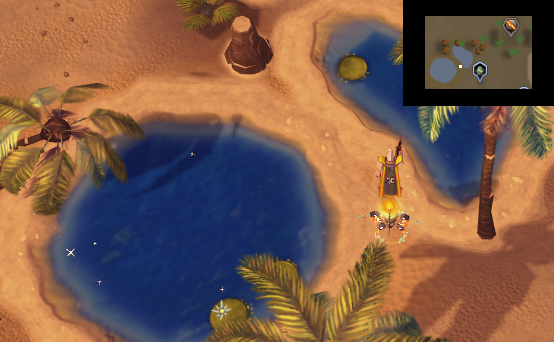 Brief Description of how to get there: Go to the ponds just North of Al Kharid and West of the Duel Arena . Stand so you have one pond North of you and the other one West of you. It is around here. 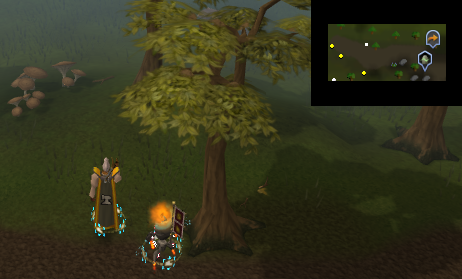 Brief Description of how to get there: Head to the Bush Farming Patch next to the Monastery south of Ardougne. Head due North. There will be a Bush just to your East when the patch is just about to go off your mini-map. Dig just West of the bush. Brief Description of how to get there: Go to the Making History Quest start point and head North-West to 3 boulders. 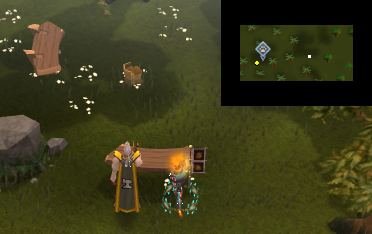 Head North from here to an area with several gnome benches. Dig around the most Southerly bench. 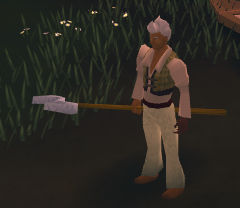 Brief Description of how to get there: Go to the South of the peninsular south of Port Sarim where Thurgo the dwarf (the one that likes Redberry Pies from quests like The Knight's Sword and The Giant Dwarf) lives. From here head North-East until you get to a beach with a Hammock, a Bench and some Fire Remains on. There is a boulder by the Hammock and a Leafy Tree by the bench. Stand so the Leafy tree is to your east and the boulder is to your South. It is around here. 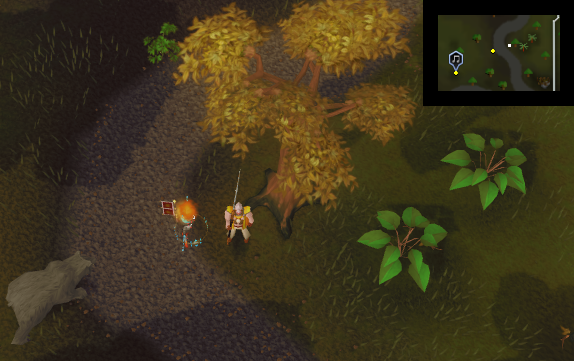 Brief Description of how to get there: Walk West of the Spirit Tree in the Gnome Stronghold so the Spirit tree is on the edge of your mini-map. It is around here. Once you have found all 11 chests the key will melt in your hand and you will not be able to get a new one, so if you decide to sell your spear you can't go and dig another one out of the ground. 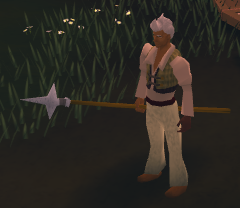 Mjolnirs are God spears. They are a two-handed weapon that has the symbol of a God on the end. They are tradeable and can be wielded without even starting the quest. They are not very good weapons as they all have the same stats, and those stats are poor.